Most buying guides—including ones on this site—will give you products and information from a number of different companies because there are different ways of figuring out which option is the best. 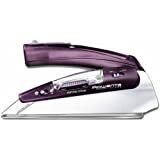 This one is a little different, since it focuses on the irons made by one company—the German company Rowenta. 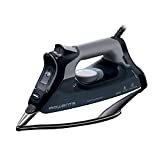 That’s because Rowenta has such an excellent reputation that if you’re in the market for a high-quality iron that will help you to keep your clothes looking their best, the only real question is, “Which of Rowenta’s irons will be the best fit for my needs?” Here are some ways for you to answer that question. 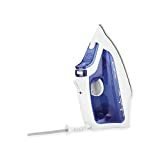 Traditional: A traditional iron is exactly what you would expect—a heavy-duty, high quality steam iron that can handle just about every article of clothing you have. 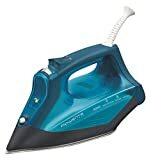 Travel: As its name suggests, travel irons are designed to be taken and used on the road. Environmentally-friendly: In recent years, many companies have offered more eco-friendly options, and Rowenta is no exception. 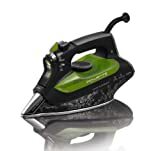 Speed of ironing: Because of their weight and steam production (more on that in a moment), Rowenta irons are seen as the gold standard of efficiency—they move through stacks of laundry with lightning speed. 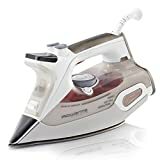 Steam strength: One of the things that helps an iron do its work quickly is the strength of its steam—you want to have a blast of steam hitting the clothes, not a weak trickle. The best irons do just that, producing a forceful hit of steam every time. Thermostat range: If you’re going to be ironing a number of different kinds of fabrics, it’s important to have an iron that allows you a good amount of control. The best models come with several different heat settings, and the thermostats are both easy to set and reliable. Parts durability: As long as it stays clean (and is easy to clean when necessary), the iron part of an iron shouldn’t be a problem in terms of durability. However, with some irons, things like the steam trigger can break off easily or simply stop working properly. That isn’t a problem with better irons. 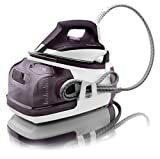 Steam pressure: Be sure to check out the amount of steam pressure an iron can be expected to generate, because the more pressure, the better results. Auto-off: This is a very helpful safety feature. On the off chance that you forget to unplug your iron in the morning, it’s great to have the peace of mind that comes from knowing that it will automatically shut itself off after a set amount of time. Water type: Some people prefer to use only water when steam-ironing their clothes, while others like to add chemicals to enhance the results. Whatever your preference, be sure to choose a model that has a water reservoir that is designed to handle what you’re going to put into it—water will work with just about every reservoir, but not every reservoir is built to work with other chemicals. Rowenta was founded in Germany in 1909. They produce a number of different appliances and accessories; some of their best-known products are irons and grooming accessories.